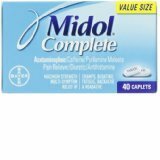 Midol Complete Caplets 16 Ct. Item Number. : B10061104. 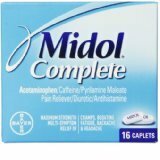 Midol Completed Caplet 40 Ct.
Midol Completed Caplet 40 Ct. Item Number. : B10126123. 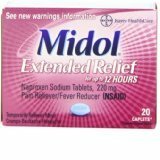 Midol Extended Relief Caplet 20 Ct.
Midol Extended Relief Caplet 20 Ct. 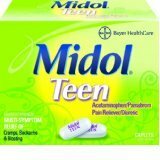 Item Number. : B10087485. 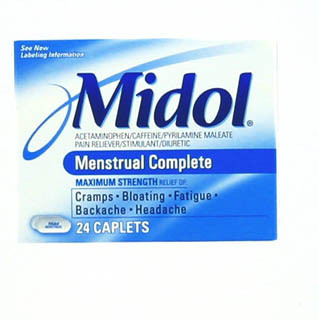 Midol Maximum Strength Menstural Complete Gelcaps 24. 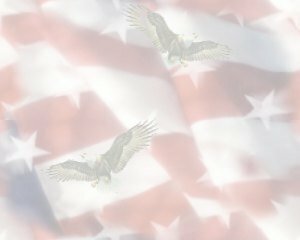 Item Number. : C2715464/B10058451. 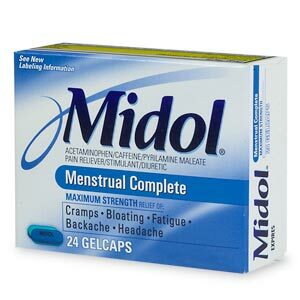 Midol Menstrual Complete Maximum Strength Caplets 24. Item Number. : C2612778/B10058460. 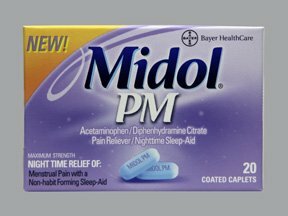 Midol Pm Caplets 20 Ct. Item Number. :B10059009.